The days are passing quickly, and our enthusiasm for Thai food hasn’t started to wane. We have yet to make something and not have leftovers, so even if we only prepare one dish, each meal is made up of three or four different things. 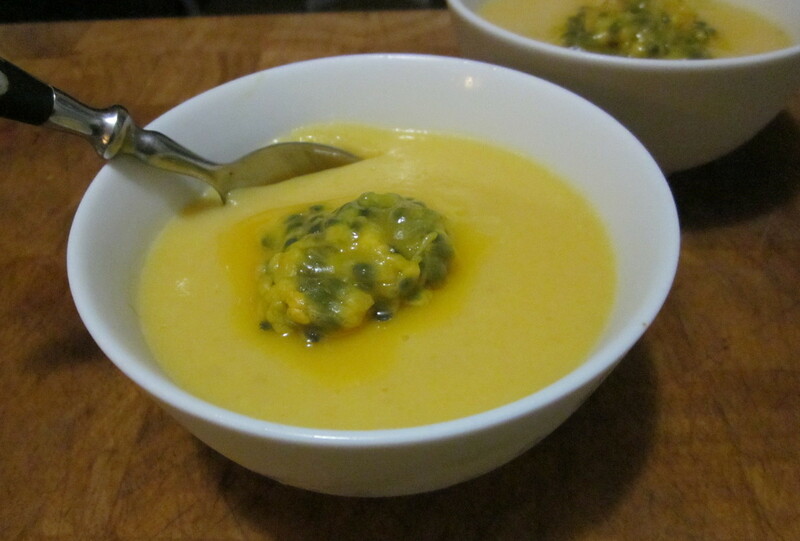 Having thought I should look into Thai desserts a bit more I decided to try making a Mango Pudding. I jumped into the kitchen in the morning, so it would have plenty of time to set. Steve is allergic to a lot of fresh fruit, including mango, so we weren’t sure if he was going to be able to eat it, since it’s not cooked just pureed. As it turned out he could eat it, so I didn’t get a second helping. Steve made Grilled Curried Rice, with some leftover plain rice we had, and some little Sweetcorn Cakes, both of which were really yummy. 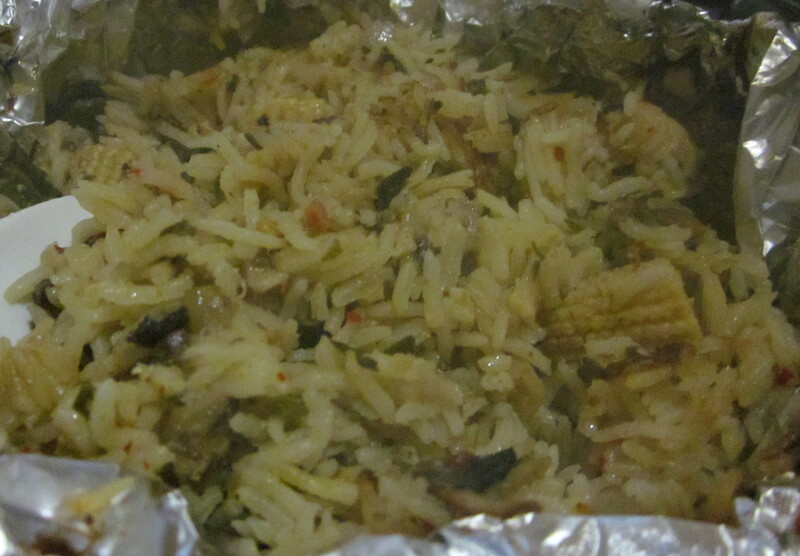 He had planned to make more dishes, but it was getting a bit late, plus we still had plenty of leftovers. 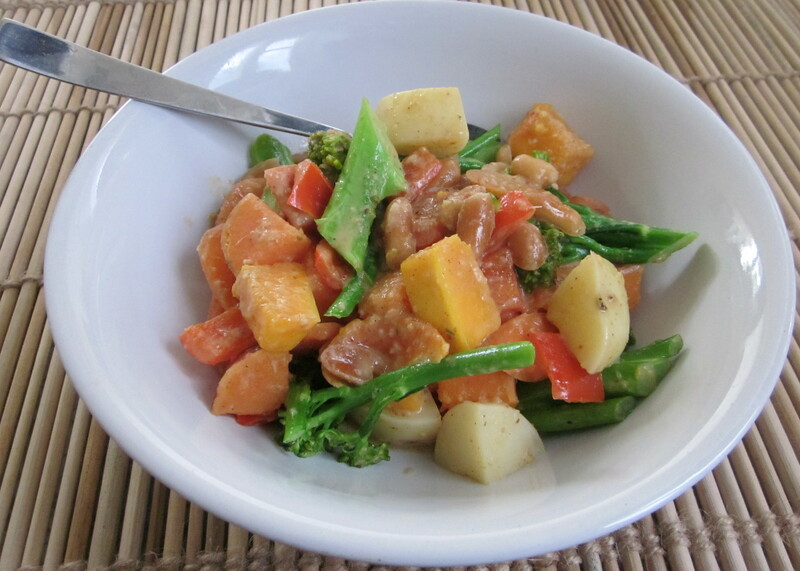 In the morning I made Massaman Curry paste, and a peanut sauce to use as a salad dressing for that night. We planned to go for an afternoon drive without a destination in mind, and not too surprisingly ended up at a beach. So when we got back all I really had to do was chop up the vegies for the curry and salad. Having pastes ready to go really is great for a quick and easy dinner! Steve was keen to make the dishes he ran out of time for a couple of days ago. 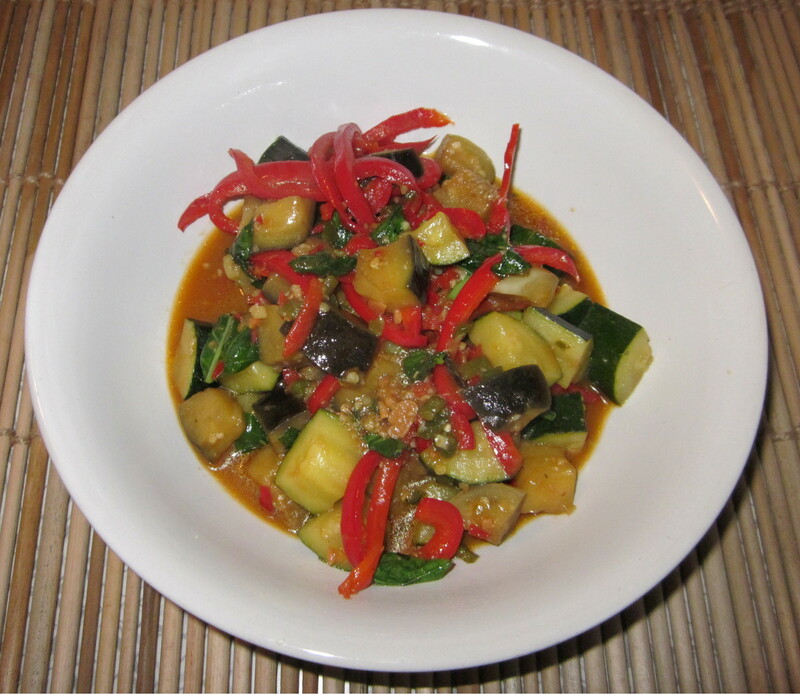 The dishes in question were Fried Eggplant with Chilli and Basil in a Yellow Bean Sauce and a Potato Curry. Both were delicious, as all the food has been so far! 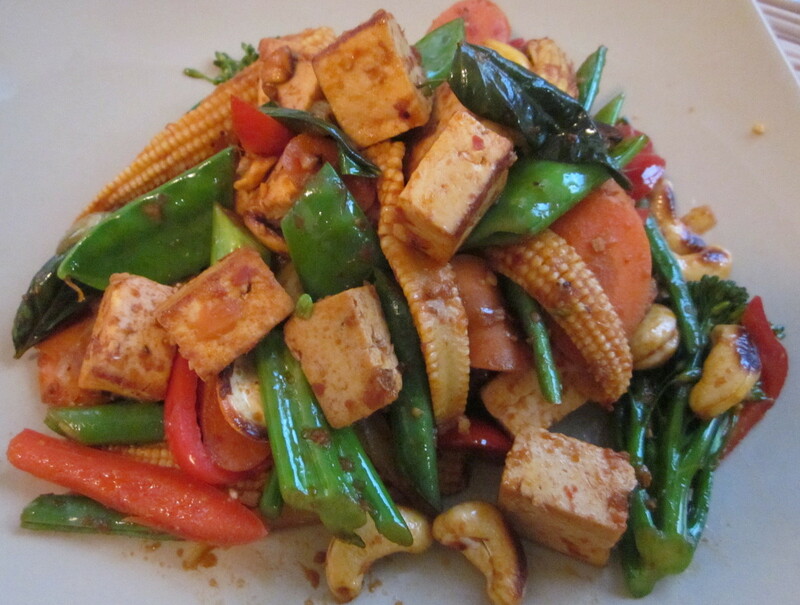 I decided to have a go at making one of my all-time favourite Thai restaurant meals – Tofu, Vegies & Cashews in Chilli Jam. I cubed the tofu earlier in the day and marinated it in light soy sauce so it would have a bit of flavour before going into the wok. For a first attempt I was really happy with it, but I think a little tweaking would make it even better.